We Depend on the Support of People Like You. Glow Nights takes place in Teton Village, Wyoming at the base of the world famous Jackson Hole Mountain Resort from December 22nd through February 2019. Inspired by the unique phenomena of the Greater Yellowstone Ecosystem, artists created illuminated works that are inspired by the calderas, geysers, peaks, forests, and the phosphorescent microbes of the Greater Yellowstone Ecosystem (GYE). Communities across the world that are steeped in darkness over winter months celebrate snow and ice with light festivals designed to draw people together. GLOW Nights brings vibrancy and beauty in unexpected forms to the Village Commons and invites people to explore their sense of wonder bringing light to our dark winter nights. Imagine magical bubble streams emanating from Yellowstone hot springs captured in a moment of glowing ice. 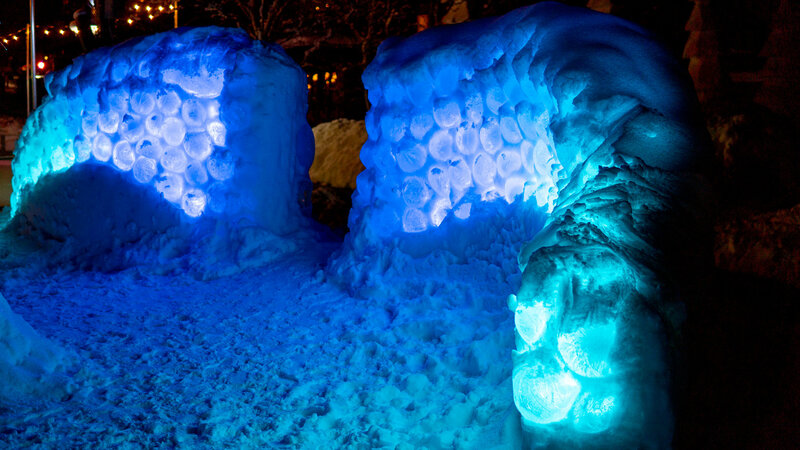 Ice Glowbs contain worlds where nature expresses its beauty, frozen in time, bursting with warm colors in the night. LED lights and frozen dihydrogen monoxide were used to create this enchanting phenomenon. Throughout the Greater Yellowstone Ecosystem, fauna, flora and landscape undergo dramatic physical changes in response to changing seasons. FaceTime has adopted this strategy in response to the winter conditions of its new site. The original intent remains the same: pairs of people are encouraged to lay aside their personal isolation devices and engage in a real conversation with a real person, face to face. This piece mimics the feelings of eternity and endlessness felt when gazing into geothermal pools found in the Greater Yellowstone Ecosystem. It symbolizes the Yellowstone Caldera and allows one to reflect on its mystery and vastness. Chamber of Reflection is made using wood, steel, plexiglass, LED lights, and resin. Standing tall like a forest pine the sculpture utilizes patterns from leaves, bark, branches and petals to celebrate the magnificence of our local ecosystem. Evoking a sense of ascension, reminiscent of geysers like “Old Faithful”, Lumina is a vertical force rising from the ground connecting Earth with Sky. 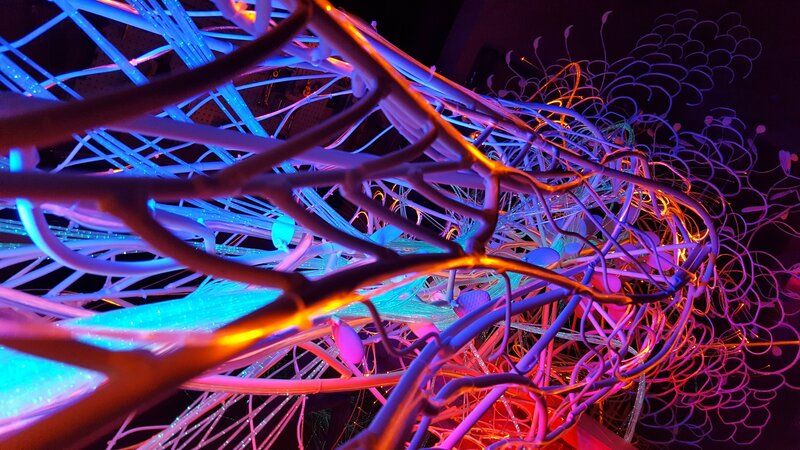 Lumina glows with changing colors – using LED Lights, Fiberoptics and steel to create a truly unique experience! 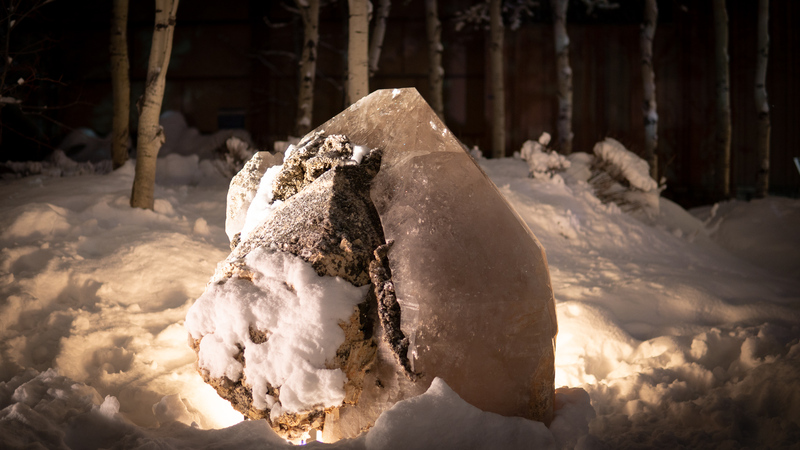 The 3,000 pound white quartz crystal came from Galileia Brazil 15 years ago and was named Heart Mountain. It has been in storage until Connie Kemmerer brought it to Teton Village. Next summer it will be flown by helicopter high up on Rendezvous Mountain. Energetically, white quartz, also called wisdom quartz, is thought to transform consciousness in a way that no amount of money or wars have ever or will ever be able to do. Glow Nights is sponsored by the Jackson Hole Mountain Resort and Teton Village Association with additional funding provided by the Wyoming Cultural Trust Fund, and First Western Trust. 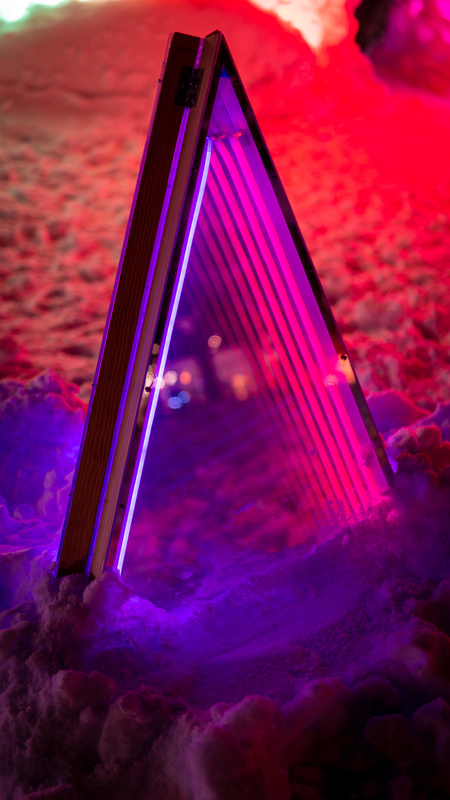 Glow Nights is produced by Jackson Hole Public Art. JACKSON HOLE PUBLIC ART DEPENDS ON THE SUPPORT OF PEOPLE LIKE YOU. Jackson Hole Public Art is a non-profit supported in part with grants from the Community Foundation of Jackson Hole, the Sage Foundation, the Wyoming Arts Council, the Charles Engelhard Foundation and people like you! Thank you. 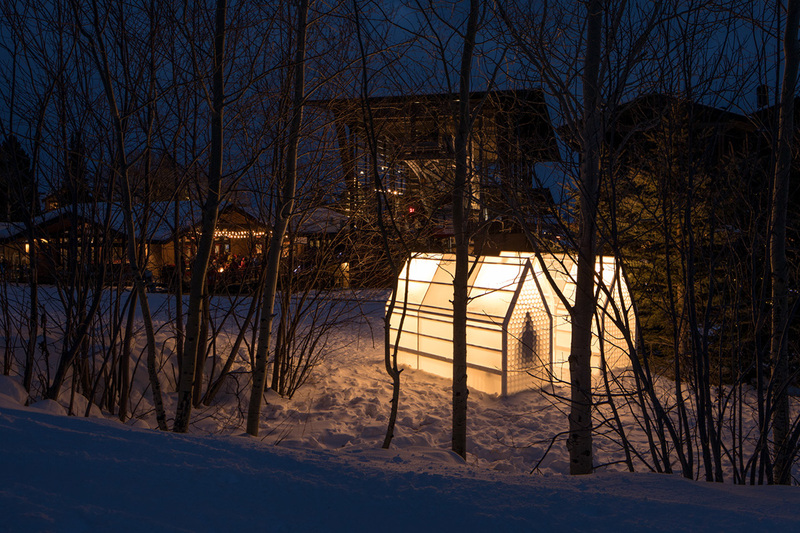 Jackson Hole Public Art forges partnerships for the integration of art into any environment, to inspire lasting cultural, educational and economic benefits.